Gialiskari. 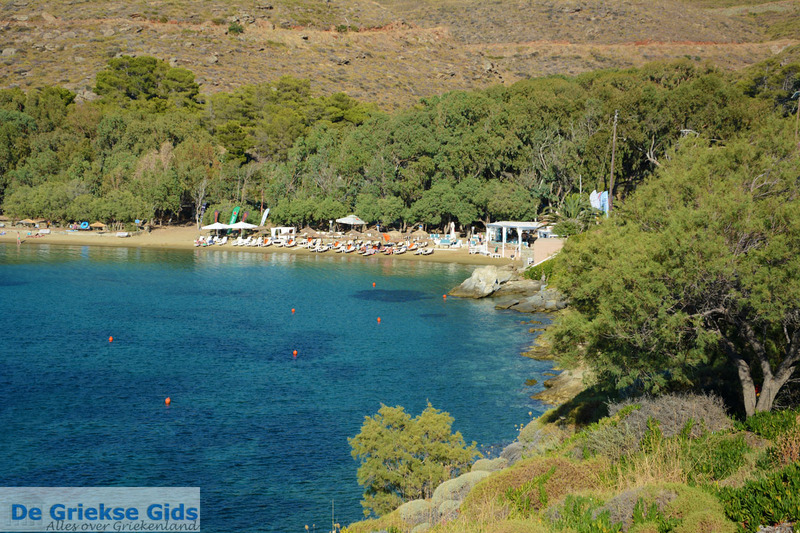 Gialiskari is a small resort in the closed bay of Aghios Nikolaos on the island of Kea. 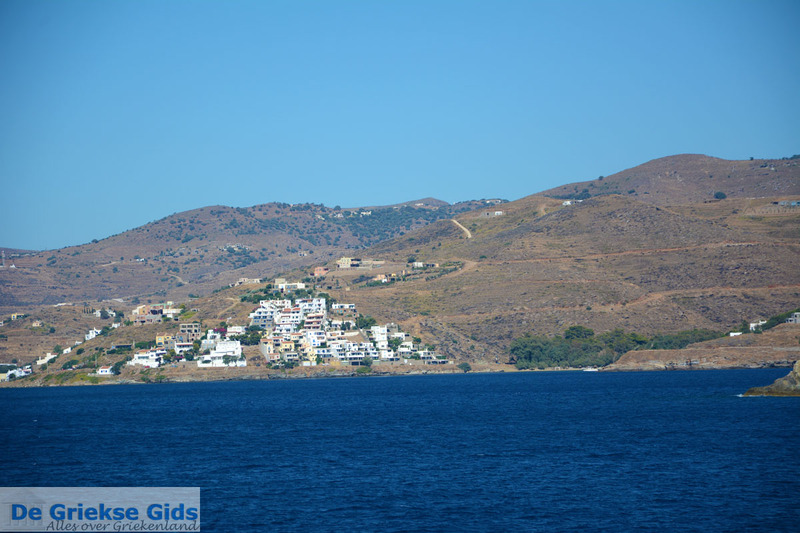 It is located in the area between the port of Korissia and the famous seaside resort Vourkari, nine kilometers (5.6 mi) from the capital Ioulida. 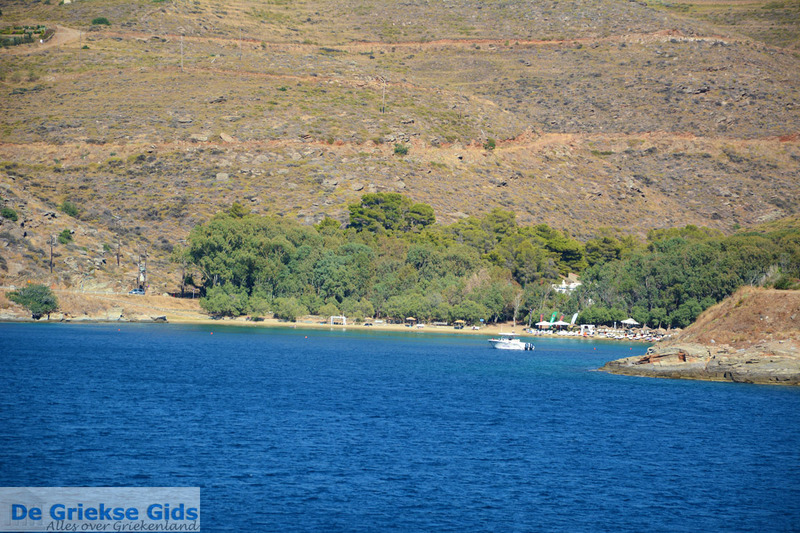 When you arrive by ferry in the Bay of Aghios Nikolaos, this is the first village and beach you will see. The small beach looks fantastic! 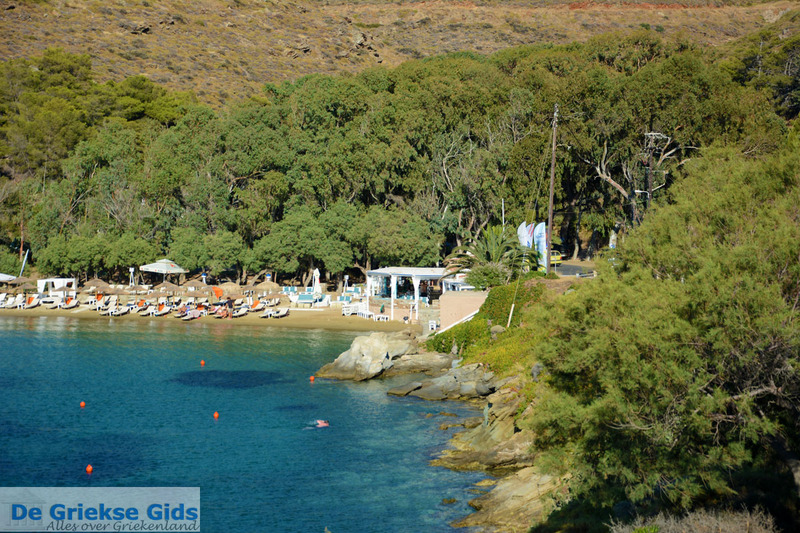 Behind the small sandy beach are eucalyptus trees and on the beach are chairs and umbrellas for rent. 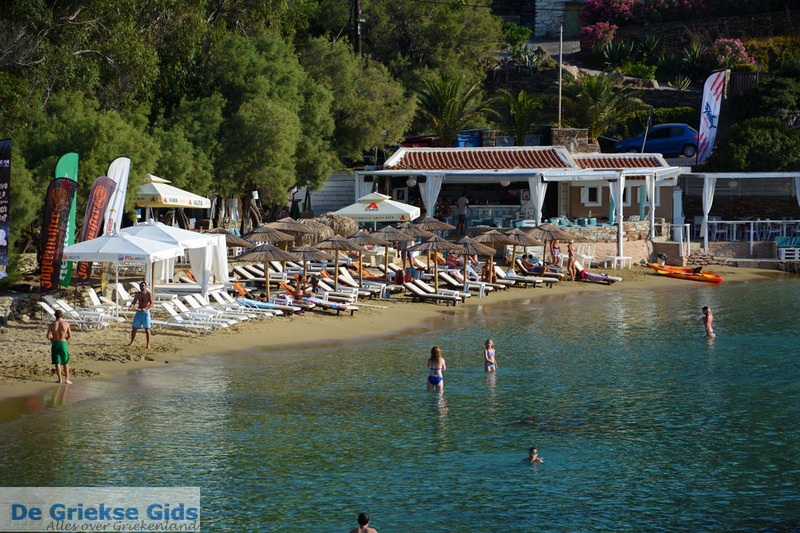 A cafeteria where snacks and drinks can be ordered is located on the beach. At this beach it is never windy. 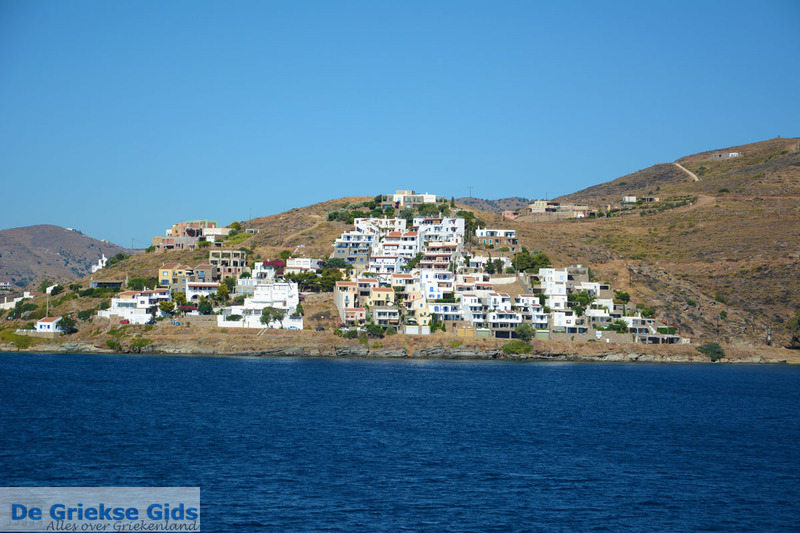 The village is built on the slopes of the hill next to it. In the village many hotels and rooms are available to rent. 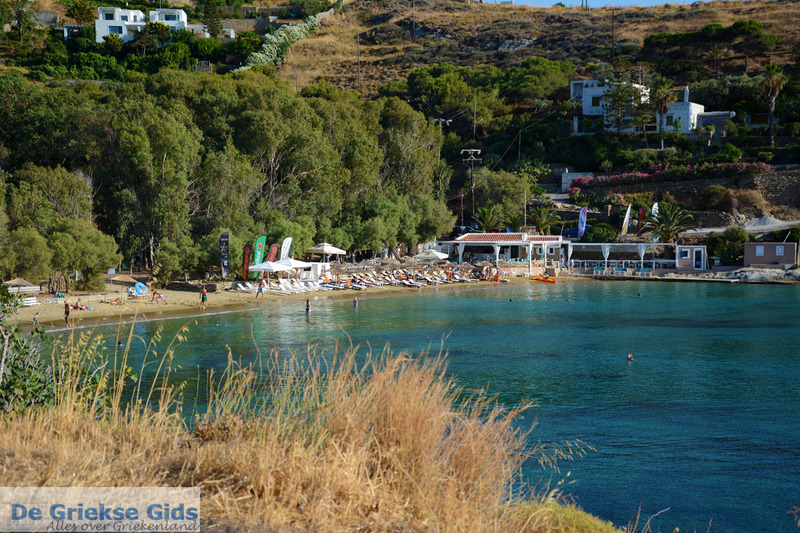 From here the view over the bay of Aghios Nikolaos is superb and the sunsets are especially fantastic. 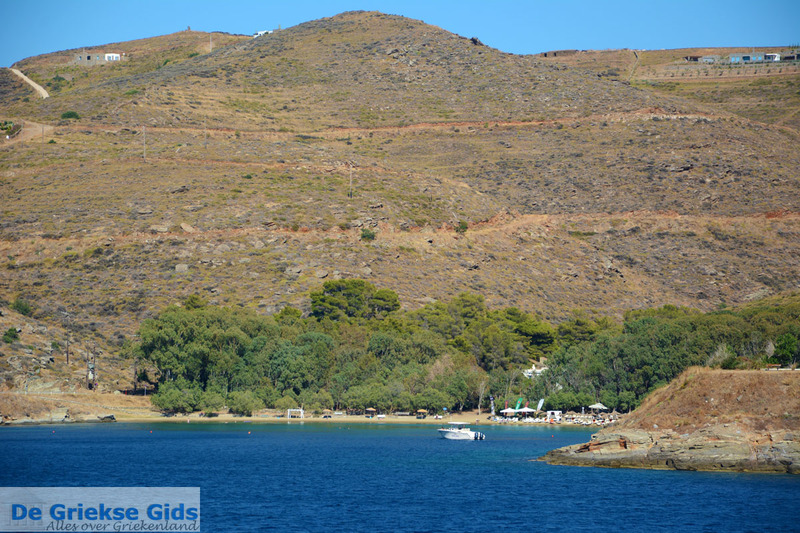 Gialiskari is a perfect place from which to explore the island. 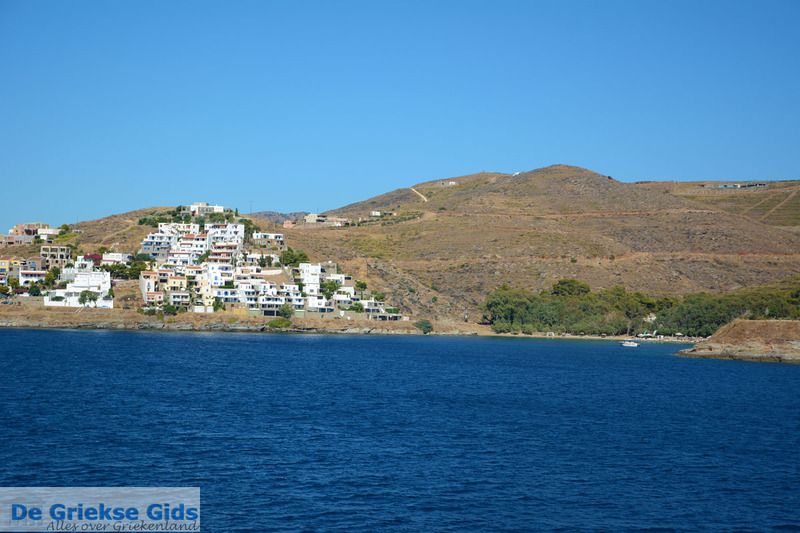 One of the biggest advantages of staying here is the fact that you can walk by foot to the port of Korissa and to the cosmopolitan Vourkari. During summer many yachts moor here. Indeed, it is an idyllic place to enjoy a wonderful holiday. 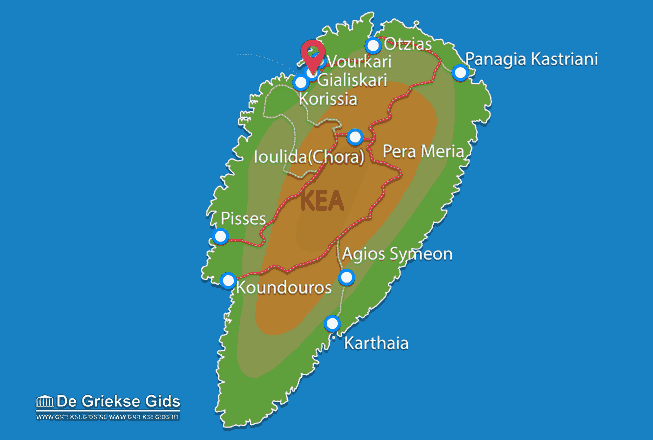 Kea: Where on the map is Gialiskari located?